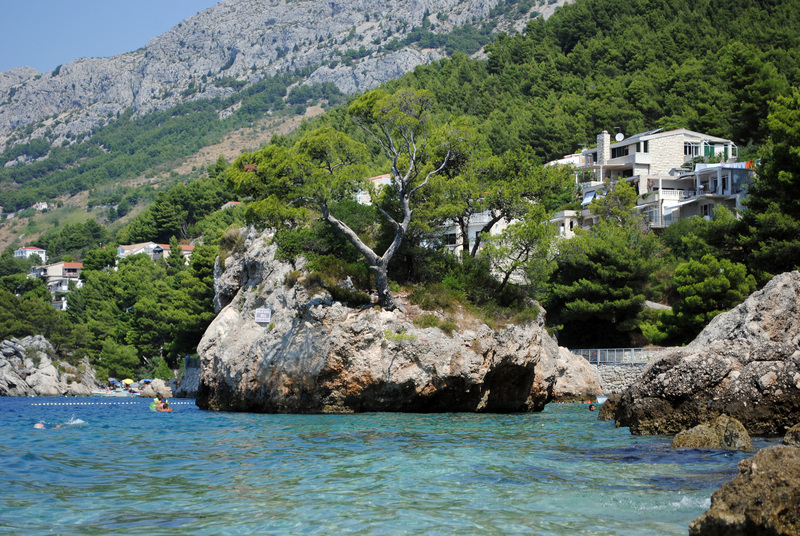 Did you know that the beach of Brela was ranked The No. 1. beach in Europe? Right next to this beautiful beach, on the right, lies “Kamen Brela”, the symbol of Brela. It’s a small, 9 meters high, island rock and according to the tradition, you can’t fully enjoy that amazing beach if you don’t jump naked off the rock! Or at least that’s what the guys down at Casa Vecchia told me :). So, to be sure we don’t miss any fun … WE JUMPED!!! And it’s crazy fun! The truth is, once you are up there … you get a little scared the first time(I was terrified and I actually think I passed out a little bit on the way down…) . Yes, it doesn’t look that scary on Youtube, but try it yourself and see. The cool thing is that you will surely jump. People stop to look at you and if you wait too long, they will start cheering you up. I’ve waited only 20 minutes the first time. This entry was posted in Croatia, Europe, Travel Stories and tagged beach, brela, fun. Bookmark the permalink.